In this beginning of 2012, there has been much confusion about what happens on some accounts and Facebook pages related to Anonymous, particularly in Mexico and Peru. Present a statement on behalf of the community of Latin America Anonymous waiting allay the simplest way possible from an objective and informative. First, the alleged hacking of the page was a joke Peru Anonymous on 28 December, as our administrators agreed to carry out, including this blog with the patently false # OpFrutasLibres. December 31 The night began circulating the rumor that Facebook page Anonymous Mexico, with the following address: http://www.facebook.com/AnonMex had been violated and stripped of their managers charged. Despite the difficulty of being on a holiday, we were able to contact an administrator for Anonymous in Mexico to begin probing for and know their version of events. If the founder assigns the management of a page to others, they acquire the same privileges as him. This implies that a malicious user can gain administrative control and then drive all administrators, including the founder, but it looks possible to recover the function. Not for the first time something happens like this: In October, a malicious user took control of the original group of Hispanic Anonymous Facebook, whose creation dates from the end of 2010. It also happened with Operation Colombia and other pages. We believe that these attempts at sabotage are caused by malicious users to demonstrate simple fame and show their "abilities" of hackers. For now rule out the presence of government agents, while an ever present possibility. From which it follows that WAS NOT a hack. WAS AN ABUSE OF TRUST AND THEFT WHO WANT A VULGAR to pass as "exploits". Latin America Anonymous administrators take very seriously the safety of the pages and not give administrative privileges to any user who has not been extensive testing of confidence and that does not enjoy a high reputation and trust within the community. The process of selecting a new administrator may take months, and is only open through the explicit request of an administrator of recognized moral and extensive experience. This is not to imply that there are hierarchies within the group leaders. On the contrary, these managers are selected based on their support and their merits, and makes it very clear they are not superior to anyone else, on the contrary, they should conduct themselves with humility and always with attention to all users, from the active until the smallest of the Anonymous. Anonymous is a group of hackers, or an organization, however, this process of centralization, with which to sometimes others disagree, is what has allowed us to be effective and accurate in our vast majority of operations, and at the same time avoid prevalence of interest. In this blog you can check the protocol operations, which any user can follow up and become involved. We have a forum in which anyone can express their opinions and propose their operations. Unfortunately, Latin America Anonymous administrators can not be at all. The work behind the scenes work that few people see, is extensive, although at first sight seem otherwise. Operations require a fairly broad level of organization that can only be done with experience. However, new users are encouraged to learn the know-how and, over time, form their own organizational entities according to their country. We believe in self-management. This inevitably leads to delegate these critical functions to users unfamiliar with certain security protocols, mainly due to lack of time to provide adequate training in counter-tactics. That was what happened in Mexico Anonymous, no desire to blame anyone. It was a simple social engineering gap exploited by malicious people. It has nothing to do with hacking or large computer skills. It was a simple robbery. These people are just as they are called in Mexico, some thieves. It's like paying the car keys to someone who is not fully known, runs a risk of losing them. And with them the whole car. The story of Anonymous in Mexico as we know it and begins in April 2010. At that time, organized a protest in the Senate by reason of failed RENAUT, forced registration cell that ultimately fell into oblivion. This protest had very little notice and was ignored by the media, so few people are aware of it, however, according to our records, is the first time organized a protest with the characteristics of Anonymous. On February 6, 2011, Mexican journalist Carmen Aristegui was dismissed from his chain information space MVS News after starring in an incident in which reference was made to an alleged alcoholism of the President of Mexico, Felipe Calderon, with the air. The next day, various civil society organizations expressed their discontent, especially through social networks, citing an alleged government censorship. 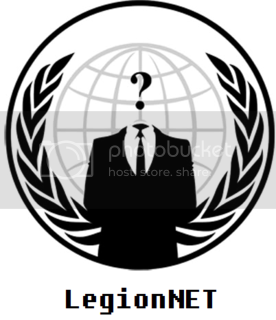 Began circulating a session in which people were encouraged to collaborate in a denial of service attack against MVS distributed news and the company's corporate site, which was conducted in two phases, 9 and 11 April using the Low Orbit Ion Cannon Tool, the same used by Anonymous, and their iconography, although no group claimed responsibility for them ended up in a statement, warning about next steps, this time against government sites, which momentarily stopped upon learning the news of the reinstatement of Aristegui, continuing a week later, this time to protest the civilian deaths because of the war on drugs. This call was the turning point which began to take shape all Latin American operations. One of the administrators who helped prepare this text, Tequila Operation compares to "a sunrise, an awakening to life ... the moment that we realized that it had a future." Thousands of volunteers joined in the invitation. Shortly after this operation, we started working on a blog that met all the operations and that was the main source of information in Spanish speaking Anonymous, as well as a model for other blogs Anonymous. The blog was closed during the protests of September 15 in Mexico (# OpIndependencia), by direct order from the federal government, not once but twice, which speaks of the immense drawing power of Latin American collective organization. However, always has had one, and this blog contains all the information possessed by the previous blog, thanks to a meticulous backup process and an efficient administration. 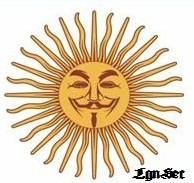 One of the managers of Anonymous Latin America had already designed a page of Mexico Latin America managed directly by Anonymous (www.facebook.com / OpTequila) and was deleted by direct orders of the group that holds as a depository of federal executive power in this country However, due to heavy workload, it was decided to take a page created by community members remaining in Mexico Anonymous, which eventually turned out to be the vulnerable page. We believe this was due to the lack of implementation of relevant safety protocols and work of thieves (yes, thieves) malicious boast of having breached security when they did was a simple robbery and breach of trust of vast proportions . However, we reiterate our support for Mexican managers and we are working very closely with them to resolve this situation. We thank the Anonymous who have not been fooled and have remained loyal to the principles of Anonymous. The authors of this betrayal and have been identified, and assigned the V for Vendetta. The ideals of the people will not be betrayed, and are much more than a page or account. We get up, as always, and as always, we will rise even stronger. Hermanistos, thank you infinitely. Do not let them down deep in sterile suits, our main concern is you and forever we will ensure their access to information denied elsewhere. Thank you again for trusting Anonymous Latin America. Less than 24 hours of being created, and on holiday, and has over 1000 followers, which speaks highly of the community and not be fooled by false Anonymous. Anonymous in Mexico is an unstoppable force. There is an account, are a group of hackers. Anonymous has much better things to do than be dealing with groups of pseudohackers stealing Facebook accounts. We are the people, and are focused on a global struggle, so we have no time to lose. Engaged in power struggles with people who just want fame and is not committed to the great global change is a waste of time. We have faced the loss of countless media (this blog included, as shown and the very page of Anonymous Latin America), however, our strength lies not in never failing down, but rather in how to get up. No time to fight with people in search of fame, why not even appointed them, however, know that this whole thing stems from a vulgar betrayal and not of great computer skills as they want you believe. All are free to disagree with our policies, but what is wrong is trying to sabotage operations.